Over the last two decades, high-tech components have found their way into almost every industry, well beyond what we think of as "consumer electronics." For example, LED lightbulbs are actually chips that glow. 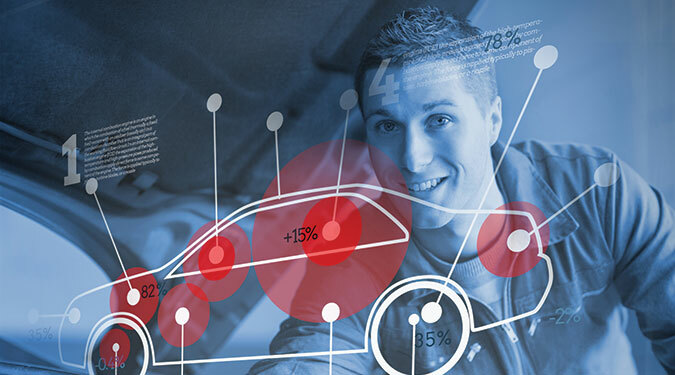 Todays' cars have as many as 200 on-board sensors and will typically have over 50 microprocessors. If you purchased a toaster within the last five years, chances are that it has a circuit board somewhere inside, too. As a result of the growth in high-tech device manufacturing, more insurance underwriters are tasked with understanding and pricing the associated technology risks. The definition for what constitutes a technology risk differs by insurance company. Some definitions include biotechnology and pharmaceuticals. Others include any risk that has a clean room. For the purpose of this article, the definition of a technology risk is the manufacturing or assembly of an integrated circuit, electronic component or device, as well as the finished product in which it resides. The manufacturing process may or may not require the use of a clean room. The spectrum of fire hazards within this sector's occupancy groups is as huge as the underwriting considerations. From the standpoint of fire risk, some manufacturing processes can be quite hazardous, while others are more innocuous. 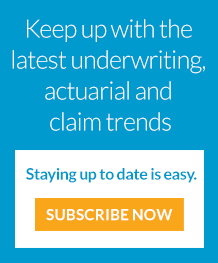 This presents both a challenge and an opportunity for underwriters who can accurately assess where their insured fits into this spectrum and differentiate between risks. The most basic step of the underwriting process is to understand the occupancy - and we often have to make this judgment with less than perfect information. This could mean having to evaluate an insured that is making a product with which we may not be familiar. Sometimes when a company has developed a proprietary product or manufacturing process, it may be reluctant to share as much underwriting information as we'd like to have. This is especially common when the insured is making products for military applications. The manufacturing and assembly of high-tech products is a highly-segmented industry, with one process occurring at one facility and another at a different facility. In the absence of a detailed description of the occupancy, knowing the raw materials and component parts may be a clue to the ensuing manufacturing process or may help determine what is not occurring at a given facility. As an example: If your insured is making something that has a "chip" (integrated circuit) as one of its component parts, then you can be fairly certain that they aren't making chips at the facility. While most loss control surveys do a good job describing what a product does, they sometimes fall short in describing the manufacturing process. From a property standpoint, it is more important to understand how the product is made than what it does. Some risks use flammable liquids and pyrophoric gases in large quantities; others use very little. Some risks feature a high level of combustible loading while some do not. Some risks utilize manual assembly at individual workstations while others are highly automated. Some require extensive use of built-in clean rooms while others may only use a small, prefabricated clean room for cleaning and packaging the final component. These are just a few of many underwriting considerations that an underwriter can encounter within the spectrum of technology risks. The terms manufacturing and assembly imply different processes, yet they are often used interchangeably. Take, for example, solar panel manufacturing: Typically one location manufactures the solar cells that make up the panels, and another will assemble them into panels. They are two very different processes, one being fairly hazardous and the other being fairly innocuous. Another example would be printed circuit board manufacturing and assembly. One risk may simply be attaching various components to blank circuit boards while another may also be making the blank boards onsite, which involves laminating, resins and heat. These two processes present very different levels of fire hazard. In the picture above on the left, we have a chip. In the picture on the right, we have a laser diode which has the chip as one of its component parts. The manufacturing of each device takes place in different facilities and involves very different processes. It is possible, however, that a brief description of occupancy could read similarly. For example: the insured makes devices that regulate current for the telecommunication and automotive industries. 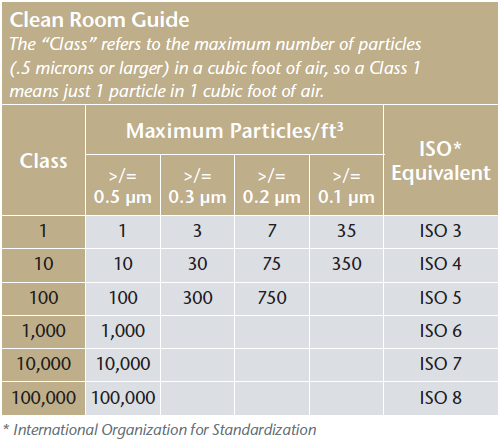 The use of a clean room is not inherently hazardous, although a clean room can present a bottleneck exposure if all of the product is dependent on it. The hazard will be based on the processes occurring inside or adjacent to the clean room(s). Clean rooms will vary by their combustible load depending on the materials used in its construction, such as air ductwork, interior room partitions and the tools being used in the clean room. If covering the building, remember that a large, built-in clean room will significantly increase the building's replacement cost. Smaller, modular clean rooms cost less and can be replaced more easily. As a point of reference, typical office building air contains from 500,000 to 1 million particles (0.5 microns or larger) per cubic foot of air. Sometimes one has a good description of the product and what it's used for but still might not know how it's made. Checking the insured's website can be helpful as most websites contain sections, such as "Products and Services" or "What We Do," and almost always feature pictures of the company's products. However, this information may be of limited help unless one is sure that the product shown is actually made at the location covered. Also, some websites overstate a company's manufacturing capabilities by advertising what they may be capable of doing (utilizing outsourcing) rather than what they actually manufacture on site. The realities of the insurance business mean that some risks need to be quoted without an inspection report. As the quality of information decreases (whether contained in a survey or one's personal experience), so does the ability to differentiate risk. Additionally, many underwriters just don't have the same familiarity with high-tech risks as they do with more mainstream occupancies. If risk details are lacking, knowing what raw materials are used can help with occupancy determination. Some tech companies as well as the military can be cautious about explaining how something is made. If your understanding of the process isn't clear, then the raw materials can be an excellent indicator of the hazards of the ensuing process. Focus on the manufacturing process hazards rather than the uses of the product. From a property standpoint, it is more important to understand how the product is made than what it does. Don't take some terminology too literally. As we have seen, the same words can be used in different circumstances to indicate different things. Does manufacturing really mean assembly? If a clean room is used, be sure to obtain its floor area and classification. Different processes require varying degrees of cleanliness, so this can also be a helpful indicator of processes occurring inside and outside the clean room. A clean room can also impact a building's replacement cost. Use caution making assumptions based on information from an insured's website. You will almost always find pictures of the company's products from their website, but this can be of limited help unless you are certain that the products you are viewing are the same as the ones being produced at the location you are insuring. Addresses emerging issues and exposures affecting property and casualty underwriters in facultative reinsurance.